Knitting Pipeline: Episode 76 Save our Socks! Episode 76 Save our Socks! This episode is sponsored by Quince & Co and The Fiber Universe. The folks at Quince & Co believe that businesses can be good citizens—should be good citizens—without making too much a fuss about it. 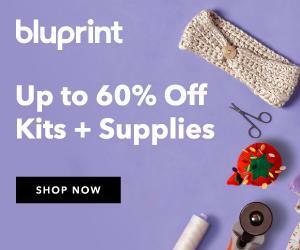 So, they have combined efforts to create a line of thoughtfully conceived yarns spun from American wool or sourced from overseas suppliers who grow plants, raise animals, or manufacture a yarn in as earth- and labor-friendly a way as possible. Find them at www.quinceandco.com and while you are there, sign up for their free e-newsletter. The Fiber Universe provides quality products, service and instruction for fiber enthusiasts. They stock yarn from Cascade, Plymouth, Skacel, Three Irish Girls, Kauni, Jojoland, Claudia Handpaints, and more. Fibers for spinning and felting are available from local farms. The Fiber Universe accepts orders over the phone and offers free shipping on orders over $50. Check out their website, www.thefiberuniverse.com or give them a call today at 309.673.5659. I read a letter from Dorothy about her wonderful mother and how she knitted until her recent death. Karin says that Bertie the Bat is back! I’m still on the watch for the snowy owl. Thanks to everyone who has sent me information. There was a clip on the NBC evening news onWed Feb 1. Tomorrow I may be going on a snowy owl expedition to Emiquon. I think time is running out. I’ve been proactive about my sock knitting lately. Choose yarn that will wear well. What are your favorite hard wearing sock yarns? Look at your socks. See what areas are wearing out. When you come to these areas in your knitting go down a needle size. Turn socks inside out. Thread a blunt needle with your sock yarn and run it through the purl bumps on the wrong side. I took this a step further by making horizontal rows with mohair-silk blend. Inside of sock showing pre-darned area. First thread is sticky. Do this one thing for your wrist pain. Joshua Tucker specializes in the elimination of carpal tunnel pain and symptoms. 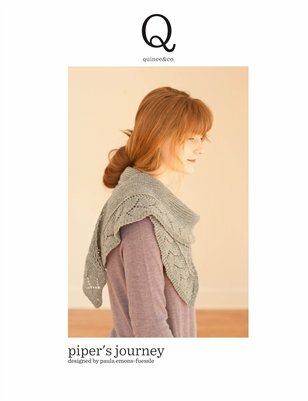 We will start as soon as the pattern is released by Quince & Co. I hope this will be in the next week! Designed a cowl in 2 yarn weights and going for a 3rd. I enjoy wearing it. On the Home Stretch on Ten Stitch Twist by Frankie Brown. Spectra by Stephen West with 2 Knit Lit Chicks Podcast. Filmed on location in Scotland (Argyll), kilts, kilt hose, Scottish Country Dancing, pipe music, a knitted shawl, Fair Isle Vests, and Colin Firth! Zombies Don’t Cry: Book One in a Living Dead Love Story. By Rusty Fischer Yes, my first zombie teen fiction. I didn't have time to get music on the show this week. I am looking for snowy owls! Dorothy, thank you for letting Paula share your heart-warming and reassuring letter. And, yes, Paula, by all means go look for the snowy owls. I hope you will have a successful sighting to report next week. and I agree with nancyn the letter from Dorothy was very touching and quite moving. Looking forward to hearing abt the nature notes (filled with owlish reports). In November of 2010, while in my backyard, I happened to glance up to survey the bleakness and bareness of the trees thinking to myself that the branches looked so naked without their usual leafy attire when my eyes spotted something rather huge some distance away to my left. I recalled thinking right at that momemt that oh my goodness my eyes are deceiving me, the shape was clear and distnctly owl. I was rooted in my spot for what seemed a long time then I thought no one is going to believe me. Ran into the house grabbed the camera and yes, got a shot of it. Ran back into the house to get my husband, came out and it was gone! It wasn't a snowy owl but likely a huge barn owl? i told my daughter, son in law and the doubted my account. The following morning I was listening to the radio while getting ready for work and my attention became rivetted when a caller was relating her story about a huge owl swooping down in her yard with what appeared to be a small dog in its grasp, the woman went on to say that she ran into her garage grabbed her broom to whack the raptor so it would let go of the dog. She claimed that the wing span was 12 foot at least? the owl swooped back up with the dog and dropped it a kilometer or so away. the dog it was later reported by its owner to have only suffered a broken leg. I don't live anywhere near the woods, but am in the city. Listening to your story brought this memory back. Paula, sorry for all the typos in my previous post. Thought i'd let you know that I was on the quince and co blog site moments ago and am certain that one of your designs was pictured. Looks like the ebook will be out soon! I enjoy your podcast and have learned a great deal from it. I knit when I listen to you and feel that I'm in the company of a very dear friend. Keep up the good work and my warmest regards to you. Paula, I appreciated hearing about Dorothy's experience of knitting with her mom near the end. DD and I sometimes air-knit during church, since we can't bring the real thing. I love your idea of "preventative darning" in this episode, like preventative medicine. Thank you for the reference to the carpel tunnel group. I occasionally have some pain--next time I will definitely try this method. On the needle gauge, I wondered if the magnifying glass is for reading the small print that is sometimes on the cable of circs? Addi Turbo prints the size of the needle on the cable, and it's impossible to read! Some of my thoughts on episode 76... Thanks! New show is great as always! I was looking at the 10-stitch blanket designs and even saved the pattern. Only for the square one. It is a wonderful stash buster! Congratulation on your shawl design. It is elegant and beautiful! Yarn...I liked three - Miss Kitty, Frankie, and Carson.